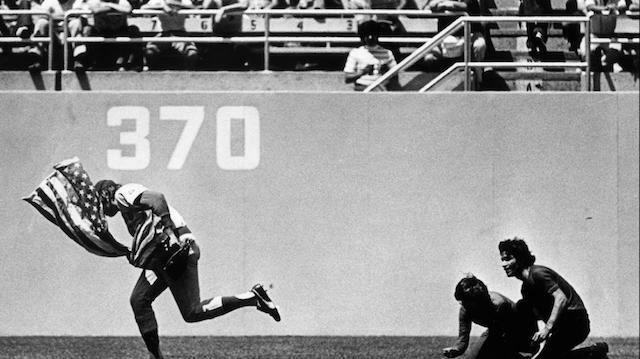 After playing the longest game in World Series history, the Boston Red Sox and Los Angeles Dodgers are back on the field at Dodger Stadium for two more games in as many days. 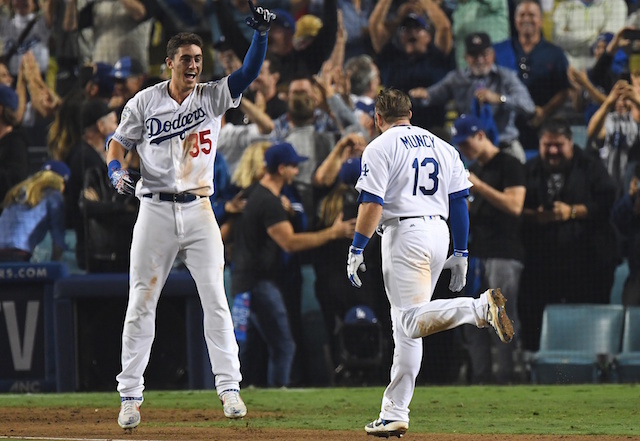 For the Dodgers, Game 4 is an opportunity to even the World Series after dropping both contests at Fenway Park. Having burned through expected starter Nathan Eovaldi in the marathon game, the Red Sox hand the ball to Eduardo Rodriguez on Saturday. Manager Alex Cora said after his club’s loss he wasn’t yet certain on who would start, but it would likely be a left-hander. That suggested Drew Pomeranz and Chris Sale (on short rest) were possible options. Rodriguez went 13-5 with a 3.82 ERA, 3.65 FIP and 1.27 WHIP in 27 games (23 starts) during the regular season. He did appear in Game 3, though only threw six pitches to retire the one batter faced. Overall this postseason, the southpaw has allowed three runs on two hits in 4.1 innings across six relief appearances. With a southpaw on the mound, the Dodgers have reverted to the platoons the utilized throughout the regular season and into October. They set a World Series record by starting nine right-handed batters in Game 1, and followed that up by doing the same the following night. Whereas Brian Dozier started at second base and led off in both of those contests, David Freese is leading off in Game 4. It’s a second such occurrence for Freese this postseason, and his last time doing it resulted in a leadoff home run in the first inning of Game 6 of the National League Championship Series. Although the Dodgers are facing a lefty, Max Muncy and Cody Bellinger remain in the lineup. 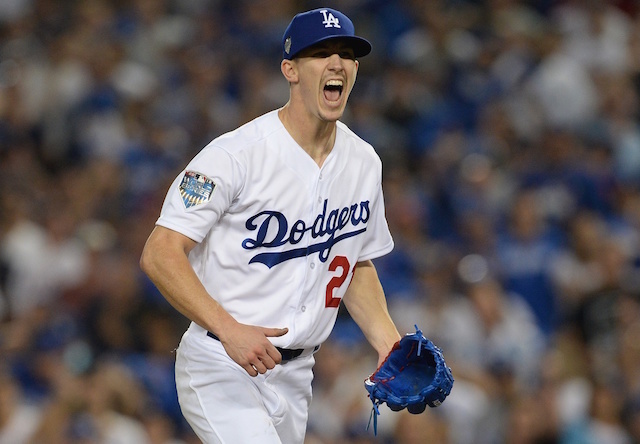 Austin Barnes is back behind the plate after Yasmani Grandal started Game 3. As for the mound, the Dodgers were expected to start Rich Hill but after their walk-off victory suggested change was possible. Manager Dave Roberts said Saturday the club considered going with an opener before again deciding on Hill. 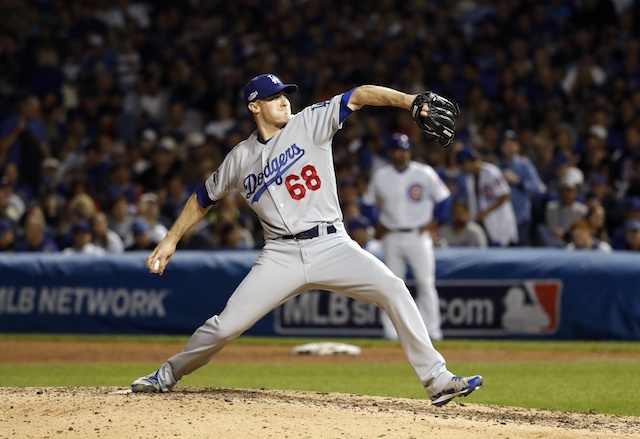 The start is Hill’s first since Oct. 16; he last pitched — one inning out of the bullpen — eight days ago. Want to get your content COMPLETELY AD FREE? Click here to follow us on Apple News!